You might have heard that recently I got published in print for the first time – a story of my culinary adventure in Surabaya, in South China Morning Post’s Spring 2013 edition of Encounters. Well, technically it is not the first time my writing is published; however this piece is written entirely in my style – instead of a structured review form – and hence is something very dear to my heart. Posted below is the full, unedited and uncondensed version of my original submission to the editor. Click here to read the published version online. It was five in the morning. White, fluffy clouds appeared to roll away from my feet, stretching across the plains towards the distant volcano. Even as the sun rose in the east, I can look skyward and still see thousands of sparkling stars. It was the closest to heaven I have ever been, and yet all I could think of was, “God, that was a decent amount of calories I burned climbing up here”. Welcome to Seruni Point, one of the few viewing points in Probolinggo in Jawa, Indonesia, where you hike up the mountain in the dead of the night armed with little more than a jacket and an energy bar. 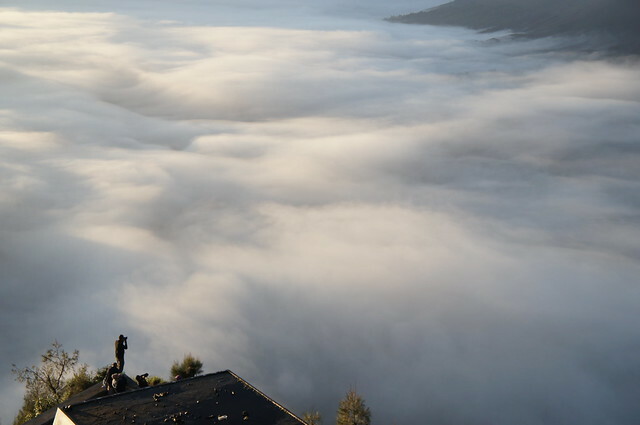 I was told that during peak seasons, from June to August each year, the view point is packed with hundreds of visitors hoping to catch the stunning sunrise, as well as the iconic postcard-view of active volcanoes Mount Bromo and Mount Semeru. Even as I took in the incredible sight of the fogged up savanna and smoking craters, part of me was dreading the eventual (second) hike up Mount Bromo to look at the volcano in the eye. That would be another thousand calories, I told myself, and soon I will be able to enjoy a proper breakfast. Already the thoughts of famous Indonesian food like gado-gado (vegetable salad served with a peanut sauce dressing), ayam penyet (lightly mashed fried chicken) and rujak cingur (a mix of cow snouts, young raw mango, pineapple, cucumber, rice cake and tofu, all served in a black sauce made from fermented shrimp paste) spurred me on to complete the nature itinerary of the day. Haven’t you heard? I spent a mega week in Singapore recently. Partly for work, attending the incredibly inspiring Ad:tech Singapore 2012, partly to revisit my friends some of whom I have not seen for more than two years. Knowing that I have mere days to catch up with everyone, I broadcasted my imminent arrival on Facebook, making catch up plans well in advance. On the very first night of my arrival – in fact, within two hours after my plane touched down at Changi airport – I was whisked from my hotel to Rumah Rasa at Bay Hotel. 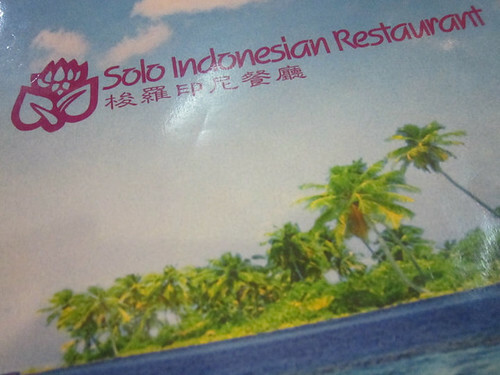 Located at Telok Blangah near Vivo City, this restaurant showcases the best of Indonesian archipelago. It was quite a strange experience. For one, the entire restaurant was empty and only half-lit. We were not even sure if it was open for business despite our reservations and online reviews which said it opens till 4 a.m. Granted, it was past 10 p.m. when we arrived and only a skeleton crew of wait staff was on duty. However the captain assured us that our reservation is valid; only that the buffet was already close at hour, and the kitchen only do room service. So we had the whole restaurant for ourselves! Despite the late hour the service was impeccable, friendly and warm; I had to give them kudos for making my first meal in Singapore so incredibly enjoyable… and tasty. 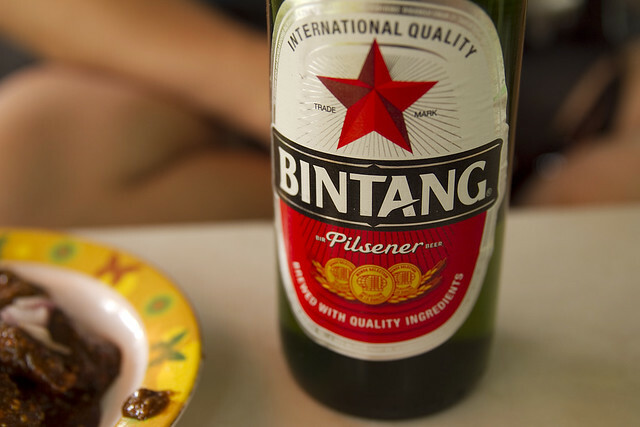 It was a night of great – and I do mean GREAT – Indonesian food. 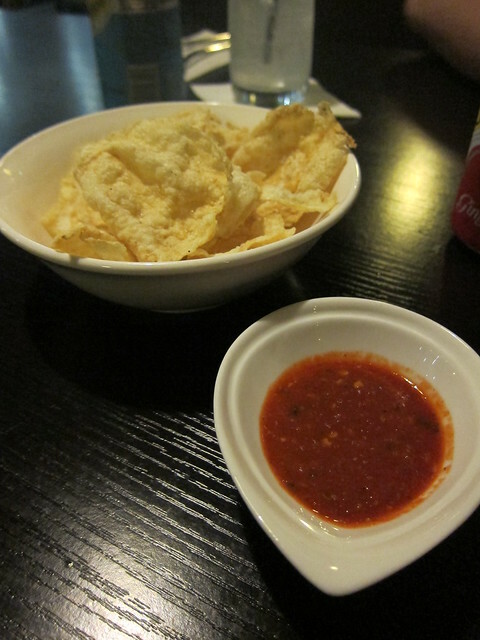 First off is the emping with sambal belacan – a cracker made from egg plants dipped in a special chilli sauce. The sambal was incredible, so good that we asked for seconds. And of course I had to have Tahu Telur Surabaya – beancurd fried with eggs and served with sliced carrots and cucumber in peanut sauce. It was the peanut sauce which made it a favourite of mine, and Rumah Rasa did it in spade. It was the end of a long week. My mind was focused resolutely on one thing – beer. A pint of foaming beer in a chilled glass, sipped slowly with my eyes closed. So as I ascend to the second floor where Solo Indonesian Restaurant is located at, to join my friends for a birthday dinner, you can say my mind was a little disengaged from my surroundings. Which happens more often than you think.